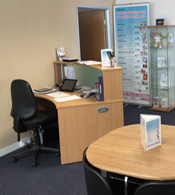 Located within the Pure Business Park in Harbour Road, Portishead (just 2 miles from junction 19 of the M5), our state-of-the-art baby scan clinic is easily accessible from Bristol and South West England. 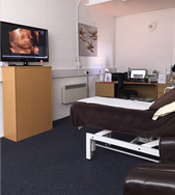 Whether you want to discover your child’s gender, get some photos for the family, or simply gain a detailed glimpse into your baby’s world, we’d be happy to welcome you to our Bristol ultrasound clinic. Book your 3D/4D scan today and share the ultimate baby bonding experience with up to 6 guests. To book your baby scan at our Bristol clinic, please click here or call our reservation team on 0117 336 1101. Exit the M5 at Junction 19. At the roundabout, take the 4th exit on to the A369 signposted Portishead. At the next roundabout, take the 2nd exit signposted A369 The Portbury Hundred. At the following roundabout, take the 3rd exit onto Quays Avenue, then take the 1st exit at the next roundabout onto Harbour Road where Pure Business Park can be located on the right hand side within approximatley 200 yards. Turn right into the car park; Studio B12 is located on the first floor to your left. Exit the M5 at Junction 19. At the roundabout, take the 1st exit on to the A369 signposted Portishead and follow the directions from M5 North (above). Exit the M4 at Junction 20 for the M5 Southbound. Exit the M5 at Junction 19; at the roundabout, take the 4th exit on to the A369 signposted Portishead and follow the directions from M5 North (above). Exit the M4 at Junction 22 on to the M49 heading for Avonmouth. Merge onto the M5, then exit at Junction 19. At the roundabout, take the 4th exit on to the A369 signposted Portishead and follow the directions from M5 North (above). 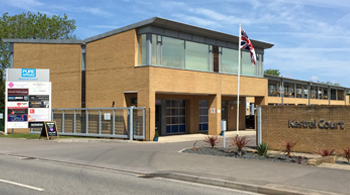 Travel to Avonmouth station and take a taxi to Pure Business Park, Kestrel Court, Harbour Road, Portishead, BS20 7AN. There is ample car parking within the Pure Business Park. For your convenience, please locate a space within the vicinity of the main reception; Studio B12 is located on the first floor directly opposite.